We’ve overcome some technical difficulties and now have a brand new episode of The Flickcast for you to enjoy. And you thought nothing good would happen this week. Wrong. On this week’s show Chris and Joe discuss and debate the latest Marvel news about Captain America and Thor, the good and bad of San Diego Comic-Con and take quite a bit of time to discuss all-things Snowpiercer. Said discussion does get a bit lively (and a tiny bit spoilery too) so fair warning. 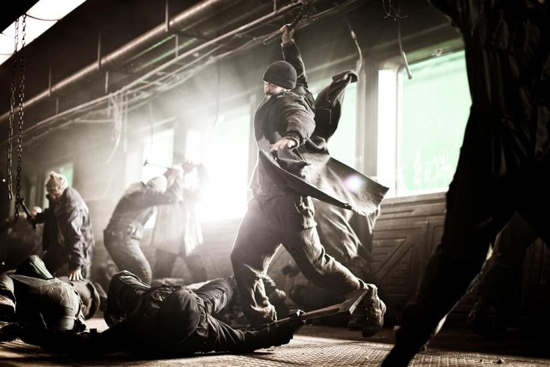 The pick this week is, you guessed it, Snowpiercer. Yes, both Chris and Joe agree it’s a great movie worth watching. So, check it out. We don’t usually believe in releasing teasers right before actual trailers. It’s mostly kinda lame. However, when the teaser in question just happens to be about the upcoming 50th Anniversary of Doctor Who, we make an exception. With just 15 days to go before the 50th anniversary, BBC America has got quite a few things going on that will lead up to the global simulcast of the anniversary special, Doctor Who: The Day Of The Doctor. Starting on November 18t, the channel will run marathons and primetime specials including a look into the science behind the series, a look back at departing Time Lord Matt Smith‘s tenure, and Smith and David Tennant will be guests on The Graham Norton Show. On November 22nd, BBC America will premiere the new Doctor Who film, An Adventure In Space And Time, which documents the genesis of the character and gives insight into his enduring popularity. 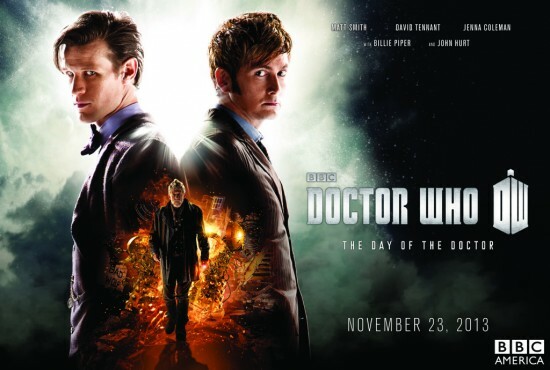 They will also release a full trailer for Day Of The Doctor, which stars Smith, Tennant, Jenna Coleman, Billie Piper and John Hurt, tomorrow. Until then, here’s a little taste of what you can expect. After the break, of course. 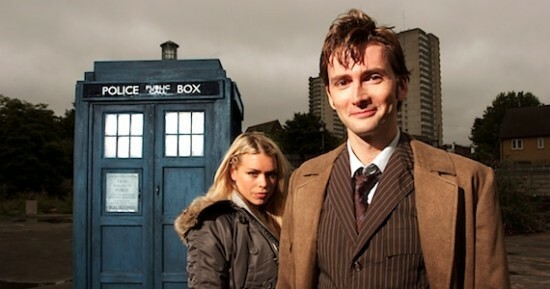 Doctor Who’s 50th Anniversary will truly be celebrated worldwide. 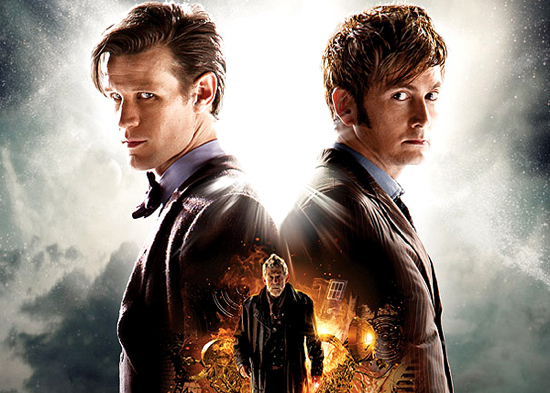 BBC America has announced that the special episode, “The Day of the Doctor,” will air simultaneously across the globe in at least 75 countries and spanning six continents. The list of countries airing the special at the same time as the UK include the U.S., Mexico, Brazil, Canada, Colombia and many more. Additional countries are expected to be added over the next month. BBC America is also set to announce soon select 3D screenings of the special episode in U.S. theaters. As fantasty series go, Syfy’s Merlin has got pretty much everything you could want. Action, drama, suspense, a good cast and lots of magic. Like we said, pretty much everything you could ask for in a fantasy series. The show is back on Syfy now and in its fifth season. And as we’ve done before, we’re going to be bringing you previews of new episodes as we get them. 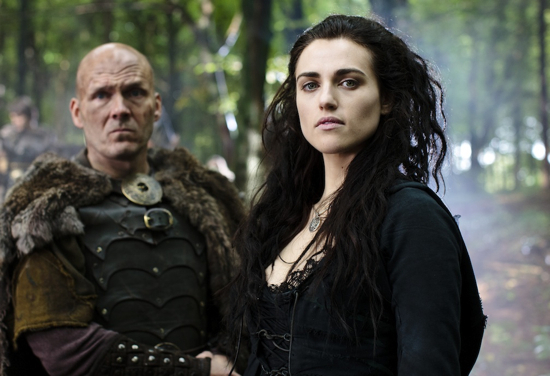 To kick things off this week, we’ve got a preview for Friday’s episode “The Kindness of Strangers.” In this one, Morgana realizes the path to Emrys and the throne of Camelot might just be quickest going through the powerful wizard Alator. We’ll see if she’s right. Or, if she’s made a bit of a mistake. Check out the preview after the break and look for Merlin Friday, May 10 at 10/9C on Syfy. Like a successful spy, the quiet and grippingly brilliant Tinker Tailor Soldier Spy sits unobtrusively amidst the flashier year-end Oscar contenders—alternately heartwarming (We Bought a Zoo), Artistic with a capital “A” (Hugo, The Artist), tragic (War Horse, Extremely Loud & Incredibly Close), scene-devouring and envelope-pushing (Shame), glossily true to life (Iron Lady, My Week with Marilyn) or purpose-built to sweep awards (The Descendants, Carnage). Based on the classic spy novel, this film adaptation necessarily abridges Le Carré’s densely plotted story far more than did the famous 1979 six-episode BBC miniseries starring Alec Guinness (who, for generations of fans, is the quintessential George Smiley). And yet it feels in no way over-simplified or dumbed down. Quite the opposite. A raft of the world’s finest actors (nearly all male—this is a man’s world)—Colin Firth, John Hurt, Mark Strong, Benedict Cumberbatch, Ciarán Hinds, Toby Jones and Gary Oldman as protagonist George Smiley—play high-level operatives in the British Intelligence at the height of the Cold War. When a mole is detected, it’s up to Smiley to ferret out which of his colleagues is the double agent. Recently, we had the first trailer for the upcoming adaptation of the John Le Carre espionage novel Tinker, Tailor, Soldier, Spy and lo, it was good. Now, there’s a new trailer that’s just arrived online and it’s even better. With a cast that includes Gary Oldman, Colin Firth, Tom Hardy, Mark Strong, John Hurt, Benedict Cumberbatch, and Ciaran Hinds it’s easy to see why this film is starting to gain so much attention. Plus, it’s based on a very well known and successful novel, so that’s going to factor in as well. In case you’re not familiar with the story, here’s some of it to get you even more interested. The man he knew as “Control” is dead, and the young Turks who forced him out now run the Circus. But George Smiley isn’t quite ready for retirement-especially when a pretty, would-be defector surfaces with a shocking accusation: a Soviet mole has penetrated the highest level of British Intelligence. Relying only on his wits and a small, loyal cadre, Smiley traces the breach back to Karla-his Moscow Centre nemesis-and sets a trap to catch the traitor. Sounds good to me. Focus Features releases the film in the US on November 18th. Check out the new trailer after the break. One thing you can expect from a Tarsem Singh movie is a heap o’ interesting visuals. Combine that with Greek mythology, add some broth and a potato, and boy, you got yourself Singh’s latest, Immortals. Better yet, you got two stills and an epic poster, courtesy of Comic-Con. Immortals stars Henry Cavill (Superman: Man of Steel) as Theseus, a stonemason who gathers a group of followers to take down the vicious King Hyperion (Mickey Rourke), a brutal tyrant on his own mad quest to destroy humanity and overthrow the very gods themselves. In his quest, Theseus is aided by the oracle Phaedra (Slumdog Millionaire’s Freida Pinto) and a slave (Stephen Dorff). It may sound a bit Spartacus and Troy­-y, but we’ll be watching to see what Tarsem does with 3D—coming from the guy who directed The Cell and The Fall, the pairing seems obvious. Immortals is scheduled to open November 11, 2011. You can check out more photos and the poster after the jump.